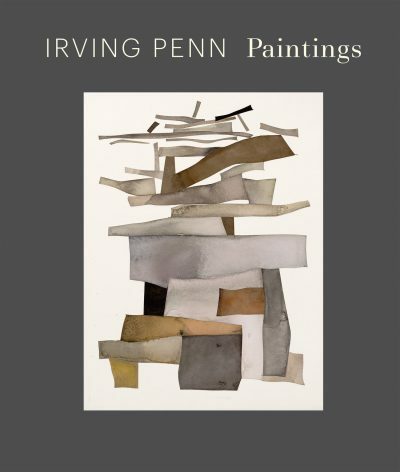 A 104-page hardcover catalogue with 47 illustrations, including 39 full-page reproductions, featuring the first scholarship on Penn’s painting practice, with essays by writer and curator, David Campany, and legacy program manager at The Irving Penn Foundation, Alexandra Dennett; with afterwords by Arne Glimcher, Pace Gallery founder, and Peter MacGill, Pace/MacGill Gallery founder. It is published September 2018 by Apparition, an imprint of The Irving Penn Foundation, in association with Pace Gallery and Pace/MacGill Gallery. An exhibition will be on view at Pace Gallery, 32 East 57th Street from September 13–October 13, 2018, with an opening reception on Wednesday, September 12 from 6–8 pm. 24 15/16 × 19 7/16 in.